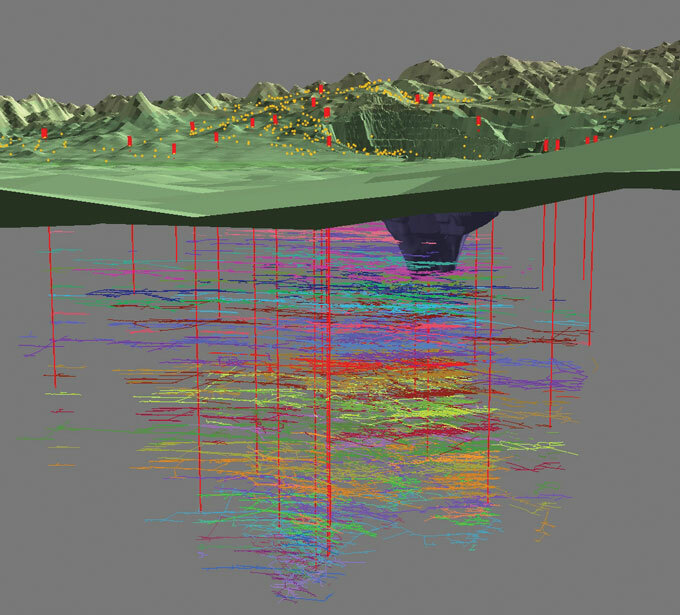 The rate of rise of water levels in the Berkeley Pit and connected monitoring points is affected by many factors, including rain and snowfall and occasional ‘sloughs’ or ‘slumps’ of material from the Pit’s sidewall slopes. The most recent slough occurred on February 8, 2013. An estimated 820,000 tons of material from the southeast wall collapsed into the Pit. Montana Bureau of Mines and Geology (MBMG) monitoring showed that the water rose about 0.6 feet as a result. For comparison, over the past several years the water has risen about 0.65 feet per month. This photo from July 2013 shows the rim of the Berkeley Pit were a slough deposited surface material into the Pit lake in Feb. 2013. Photo by Fritz Daily. Sloughs or landslides are relatively common in open pit mines and can potentially raise water levels. To address the potential effects of future sloughs on the Pit’s rate of rise, EPA required the Potentially Responsible Parties (PRPs) for the site, Montana Resources and the Atlantic Richfield Company (AR), to study the stability of the slopes around the rim of the Berkeley. Publication of the final report on that study is expected later in 2015, and it will be published here on the PitWatch website. EPA and the PRPs have stated that preliminary results indicate that the rising Pit water level will continue to increase the potential for slope failure, especially in the southeastern part of the Pit. Future sloughs are expected to occur in the absence of any stabilization or mitigation measures, but, based on past sloughs, are not expected to significantly affect the Pit management timeline. Two much smaller landslides, which had no noticeable impact on the water level, occurred in August and November 2012. A larger landslide occurred in 1998. 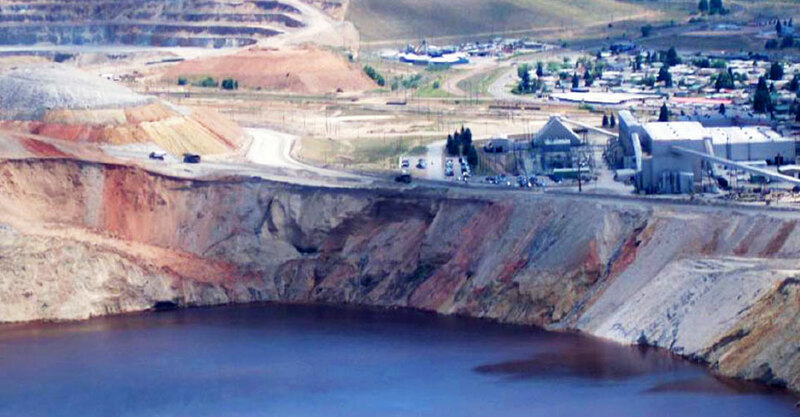 The November 2012 slide damaged the Montana Resources pontoon boat used for water quality sampling in the Pit. Following the 2013 slide, those sampling activities were suspended for the safety of the MBMG scientists who conduct the sampling.